Titebond Extend Wood Glue is a slower setting version of Titebond Original Wood Glue. It offers superior performance in a broad range of applications, including edge and face gluing. 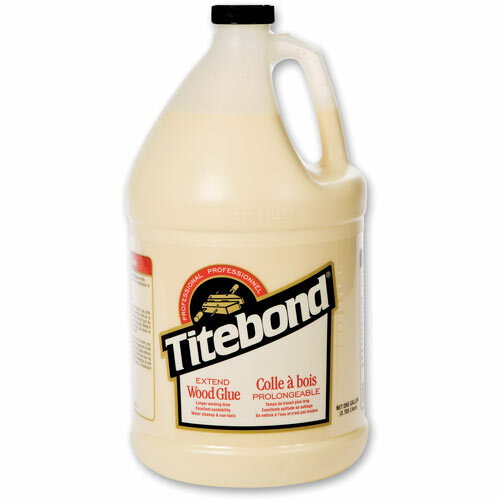 It is particularly useful in complex operations such as curved railings and other assemblies that require more time to align.Titebond Extend develops a bond stronger than wood itself, offers excellent sandability and is unaffected by finishes. It is compatible with all common species of wood, as well as particleboard, MDF, plywood and other porous materials.